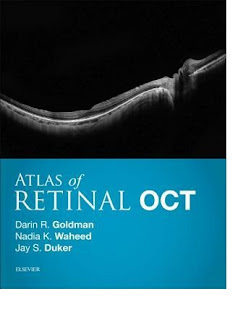 Featuresmore than 1,000 superb illustrationsdepicting the full spectrum of retinal diseases using OCT scans, supported by clinical photos and ancillary imaging technologies. Presents images as large as possible on the page with an abundance of arrows, pointers, and labels to guide you in pattern recognition and eliminate any uncertainty. Includesthe latest high-resolution spectral domain OCT technologyandnew insights into OCT angiography technologyto ensure you have the most up-to-date and highest quality examples available. Provides key feature points for each disorder giving you the need-to-know OCT essentials for quick comprehension and rapid reference. 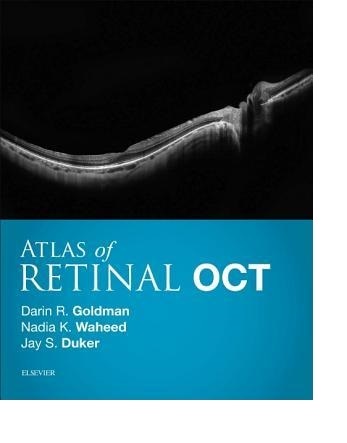 An excellent diagnostic companion toHandbook of Retinal OCT: Optical Coherence Tomography, by the same expert author team of Drs. Jay S. Duker, Nadia K. Waheed, and Darin R. Goldman.